The next Gopher State One Call Board Meeting is Wednesday, January 10, 2018 at the GSOC offices 1110 Centre Pointe Curve, Suite 100, Mendota Heights, Minnesota 55120. The Open Session of the Board Meeting Starts at 9:00 am. If you plan to attend, please contact Barb Cederberg GSOC COO at 651-681-7303 or at Barbara.cederberg@gopherstateonecall.org. Gopher State One Call (GSOC), Minnesota’s state-wide notification center for excavation, is celebrating 30 years of operation in 2018! GSOC accepted its first locate request on October 1, 1988. Follow along as we take a stroll down memory lane to understand GSOC’s history. 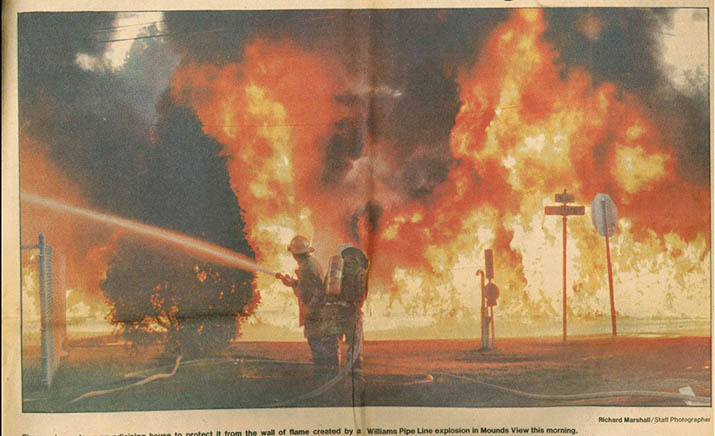 On the morning of July 8, 1986, a hazardous liquid pipeline in a residential area of Mounds View, Minnesota leaked gasoline, and the vapor was ignited when an automobile entered the area.1 The neighborhood was engulfed by a wall of fire that roared down the street. A mother and her six-year old daughter, concerned and frightened, opened their door, stepped outside, and were fatally engulfed in flames. A third woman was severely injured. The fire resulted in over a quarter of a million dollars in property damage. Monday, December 4, 2017, GSOC passed the 800,000 ticket mark for the year. This is approximately a 4% increase in the number of tickets over the same time frame last year. The percentage of tickets submitted via the web reached 70.9% for the year through November. This compares to 66.3% web submitted tickets for last year through November. The GSOC Users Group had several meetings in the second half of the year. No issues were reported by the users related to the call center or the web ticketing system. The GSOC Users Group did talk about contact information on tickets and had a review of some new possible approaches to auto generated marking instructions. GSOC launched a new website and App in September. At some point in time, you’ve probably noticed small colored flags placed in your yard or around town by locators to identify underground utility lines. 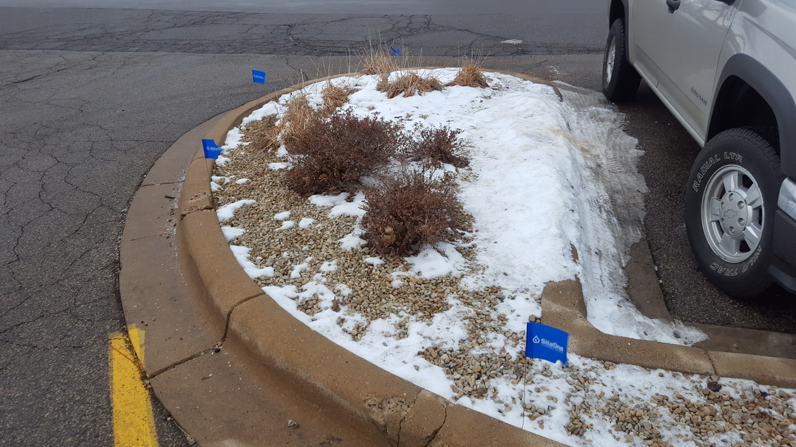 Recently, some snow plowing and property management companies have begun using these types of flags instead of traditional wood or fiberglass stakes to mark curbs, driveways, and other features to guide equipment operators when plowing. These flags may be blank or even labeled with a company logo or markings. Gopher State One Call (GSOC) would like to remind everyone to take a few minutes and examine the various types of flags and markers that may be installed during this time of year, so that you can see the difference between plowing routes and underground utilities. It can be easy to mistake these snow plow flags as utility marking flags. Save the date for the upcoming Minnesota Construction Summit on January 9-10, 2018 at the Minneapolis Convention Center! The Associated General Contractors of Minnesota, Association of Women Contractors, and National Association of Minority Contractors have joined forces to offer this one and a half day comprehensive construction industry conference.